I was never a huge fan of Valentine’s Day growing up, except that once February rolled around, my mom would usually make a batch (or three) of her fabulous Petite Cherry Cheese Tarts. I have no idea where the recipe came from – it’s very 70’s, in it’s way – but those tarts were always a hightlight of, well – let’s face it – my year. Honestly, I’ve had friends try to bribe my mother for their own batch. In a fit of nostalgia I decided to make some this weekend, and while not quite as good as my moms – I didn’t cook the cherries quite long enough, so they were a little runny – they were still scrumptious. Here’s the recipe. You may want to double it. Preheat the oven to 375º. Line 12 muffin cups with paper baking cups. 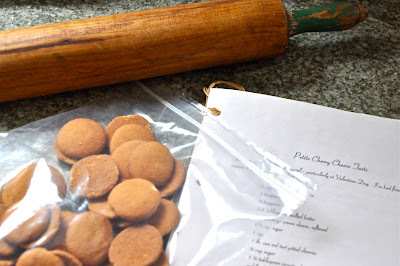 Crush the vanilla wafers (I put them in a plastic ziplock bag and smash with a rolling pin) and mix well with the melted butter in a small bowl. 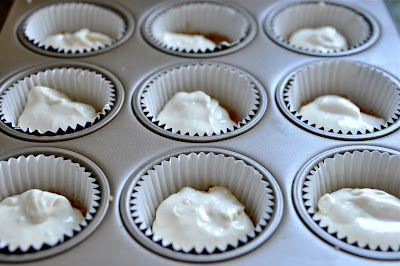 Spoon about 1 Tablespoon of the crumb mixture into the bottom of each bake cup and press gently. Beat the cream cheese until fluffy. 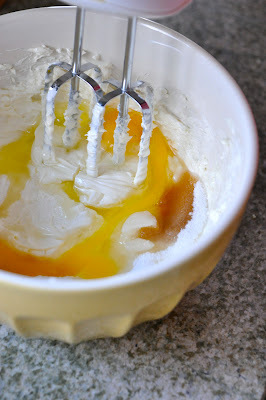 Add 1/3 cup sugar, egg, lemon juice and vanilla and beat until smooth. 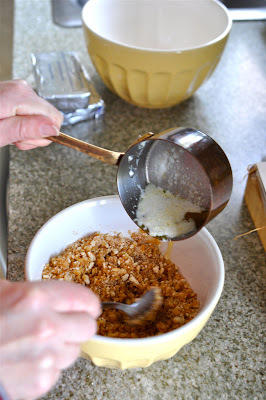 Spoon the cheese mixture evenly into the crumb-lined paper cups. Bake at 375º for 15 minutes or until set. Cool. In a small saucepan, combine the cherries, 1/2 cup sugar and cornstarch and mix well. Cook and stir until thickened. Add red food coloring as desired. Cool. 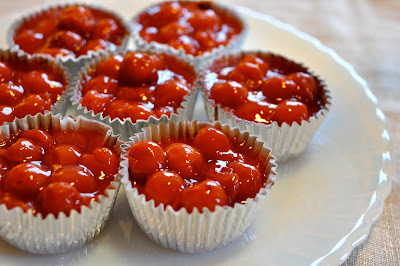 Spoon the cherry mixture evenly over cheese cakes. Chill well before serving. Makes 12.